Firstly, some breaking news which is that I am currently featured on Pattern Review as their Member in Focus. You can check out my interview here. As promised, here is my second stash busting mini. For this skirt I used McCall's 3341 and went with View E. I have made this before in my pre-blogging days, also to use up a remnant of leftover fabric. This is a simple a-line skirt with darts in the front and back and is a pattern that I stole from my Mum's stash years ago. I cut a size 16 and sewed this straight out of the envelope. The only (lazy) change I made was to omit the waist band. The fabric was originally purchased years ago at Shepherds Bush market for a couple of squids. Definitely no more than £2 per metre. I lined the skirt with navy lining from my stash. 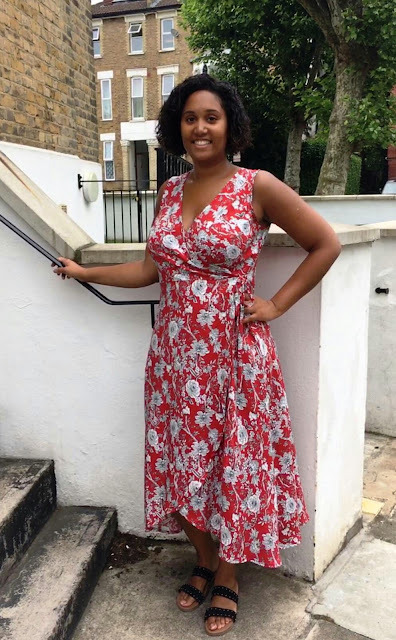 I am sad to say that I originally cut out a dress with this fabric many years ago and it turned into a huge wadder, so it was nice to do something with the remnants so the print could be included in my wardrobe. Here is a close-up of the fabric. I am really happy with this little mini skirt. 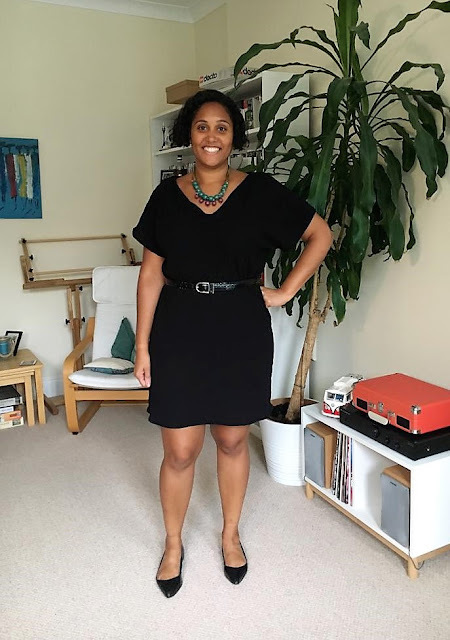 It is making me pine for hot summer sunshine like nothing else and fingers crossed the british summertime will let me wear this one bare legged at some point! That said I did wear this other bad boy on a night out with tights and pumps recently so I am sure that this one will get the same treatment at some point. Right, so I have finally decided on my July garment. 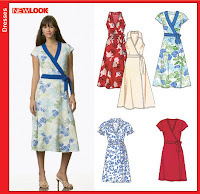 It will be Butterick 5949. I know that I have threatened to make this previously here but was put off by all of the alterations. I am pleased to say that I have stepped out of my comfort zone and made some shoulder adjustments. I'm now on muslin number two, wish me luck! Do you enjoy the process of making pattern adjustments, or do you groan and put them off like I do?